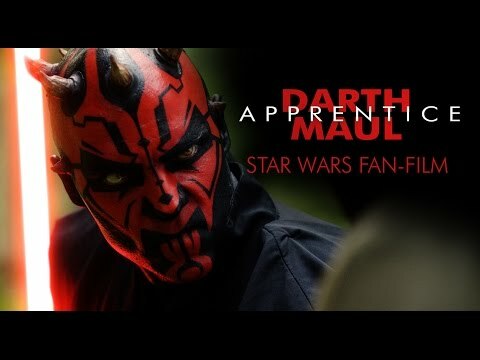 The time has come for Darth Maul to complete his training under Darth Sidious. When a battalion of Jedi arrive to investigate a mysterious signal coming from a lush remote planet, they discover something more deadly than they could have imagined! Starring Ben Schamma of Maul Cosplay and an astoundingly talented collection of amazing actors Maul: Apprentice spent years in the making, and features beautiful choreographed combat from Vi-Dan at TeamBay, on-point costumes from DefCon Unlimited & Hydra Forge, beautiful special effects & editing, and fantastic direction from Shawn Bu! Check out the video on T7PRO’s YouTube Channel to find links to the whole crew’s Instagram accounts and other awesome social media, where you’re sure to find more awesome goodies and some behind the scenes sweetness! Make sure you leave them some love in the comments section!